Arbortech Tree Services has the experience, skills and arborist equipment to handle all your tree care requirements. 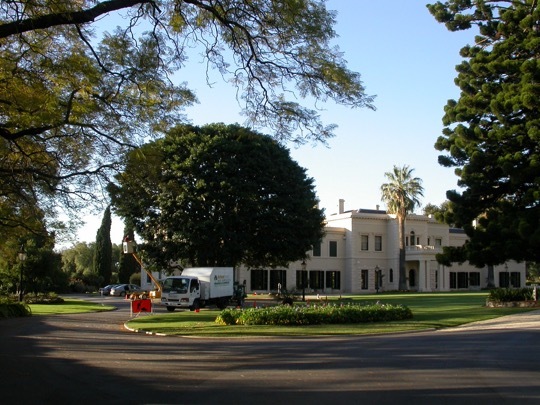 We have been providing quality tree management and expert Arborist advice to South Australians since 1985. As specialists in Arboriculture our professional team of qualified Arborists provide a comprehensive range of contracting services to the public and private sectors. Our uncompromising principles and high Arboricultural standards have placed us in a unique position in our industry as the benchmark for quality tree care and arboricultural expertise. The long term success of the Arbortech operation reflects the dedication, commitment and technical expertise of our qualified staff, including ISA Certified Arborists, making Arbortech a respected name in the tree care industry across the country. Arbortech clients come from a wide cross section of businesses, private individuals and corporations in greater Adelaide and South Australia who value and interact with trees in the urban and rural environments on many levels. Not only do our clients benefit from our dedication and expertise with trees, the wider urban forest does to, making it a better place for wildlife, as well as us and our children. Wherever possible Arbortech staff will preserve habitat, including hollows, dead stubs, dead wood (that does not pose a risk of harm) and mistletoes to retain habitat in trees we are managing.